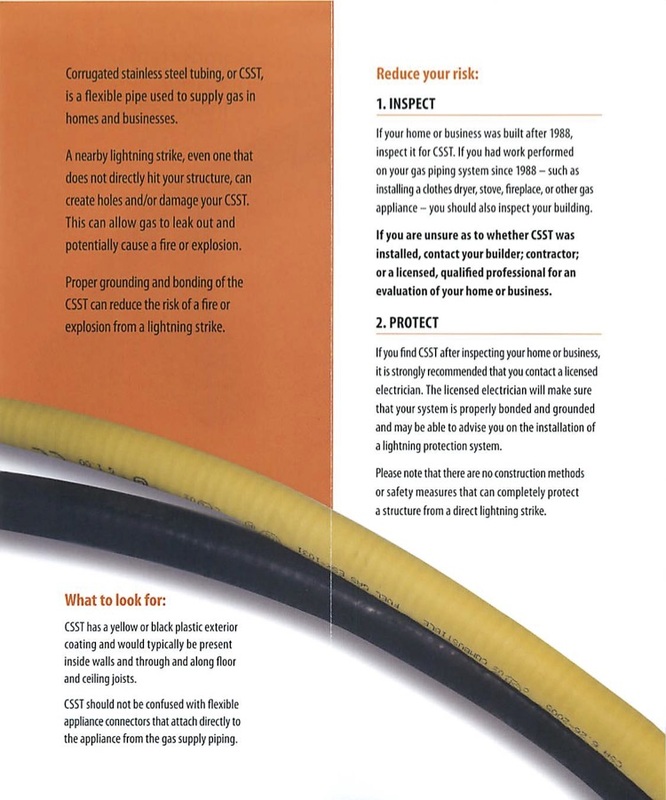 CSST Importmant Information for Homeowners | Suhre's Gas Co. Inc.
Link to news video from KSDK Channel 5 St. Louis regarding the dangers of CSST Piping. Link to YouTube video showing proper bonding for CSST piping. Lint to a YouTube video showing proper installation of CSST Flash Shield. The flash shield is often improperly installed with the protective outer layers removed. If you can see the exposed sliver pipe then your CSST is not safely installed.